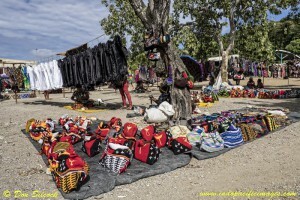 Let Indopacificimages’ Complete Guide to Diving Port Moresby help you plan your trip to, or through, the capital of PNG. 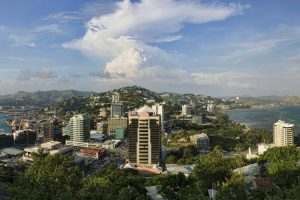 Simply stated, Port Moresby has a terrible reputation… It is regularly rated as one of the more dangerous cities in the world! But is it really the near-death experience it seems? Should you even be considering going there? Or is the wiser to simply avoid it like the plague? For sure Port Moresby is definitely not for everybody. But it is the main (and currently only) international gateway in to Papua New Guinea. Therefore if you want to experience what the country has to offer, both above and below the water, there is really no choice but to go there. So your options are to try and transit through Port Morseby as quickly as possible. 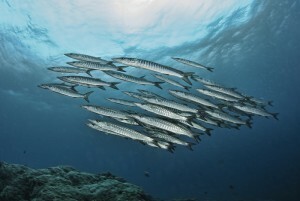 Or make the most of the situation and sample the surprisingly good diving to be had around Port Moresby! The question I get asked most is “is it safe to go to Papua New Guinea“. So much so that I have written a whole section called The Complete Papua New Guinea Survival Guide to help people better understand the risks. For what it is worth, my opinion is that the risks associated with Port Moresby can be managed safely with some common sense and a degree of caution. 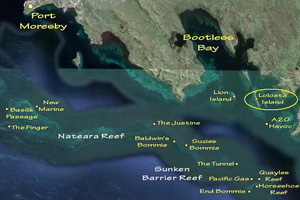 The sections below describe specific aspects, areas and dive sites of Port Moresby. Please use the links provided to explore the Complete Guide to Diving Port Moresby and learn a bit more about the capital of Papua New Guinea. If you don’t find what you are looking for I am good to answer questions through the Contact page. But please read the content first…. The capital city of PNG and the main gateway in to the country is located on a spectacular headland that faces out in to Gulf of Papua. 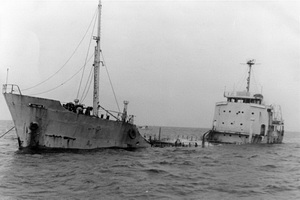 Overshadowed and usually overlooked by divers passing through on their way to Milne Bay, Kimbe Bay in New Britain or Kavieng in New Ireland province. While there are dive sites in the city’s Fairfax Harbor, the best diving is on the offshore Sinavi and Nateara and sunken barrier reefs. 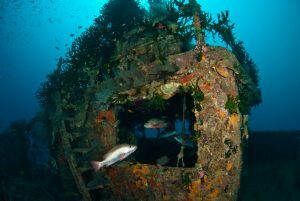 On a good day, and in the right conditions, the MV Pacific Gas is without doubt one of the best wreck dives in Papua New Guinea. 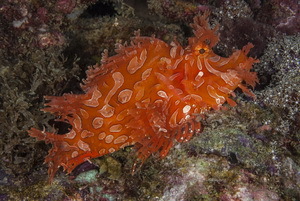 Hard to believe that such good diving could exist so close to a capital city. But when the conditions are right Suzie’s is world class diving! Loloata is somewhat of an institution in Port Moresby. As is has been very much an integral part of the local expatriate scene since the 1970’s. 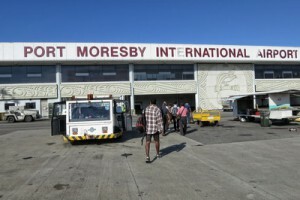 As the only international gateway in to PNG. 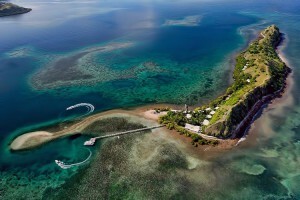 Transit in Port Moresby is something you will just have to do when traveling on to the main diving locations. 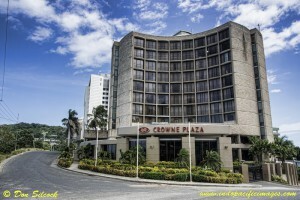 Where to stay in Port Moresby used to be a a really tough question. As the options were really quite limited and also very expensive. Contrary to what its bad reputation may suggest. There are actually quite a few good things to do in Moresby if you are staying over there. PNG Arts is almost a local institution. 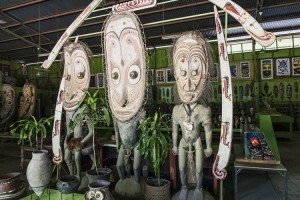 It is really a “must do” if you are interested in the traditional arts and crafts of Papua New Guinea. 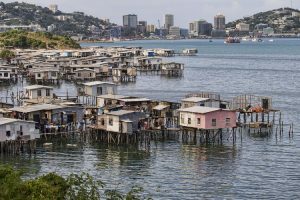 Hanuabada and Koki are the only remaining stilt villages in Port Moresby. They are both interesting places to visit if you can manage to arrange one.